Hey you, do you like when it is revealed how, "Everything you think you knew is wrong?" and thanks to a big ol' retcon the past, present, and future is forever changed--at least until they retcon the recton? 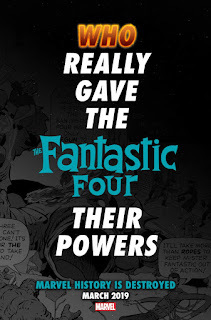 Well then, I suppose you're interested in Marvel's upcoming event that will reveal how the Fantastic Four really got their powers, who found Captain America before the Avengers, and other surprise reveals that will leave you so shocked you'll be grabbing your junk on the floor screaming in joyful agony from the kick it is going to take...I guess? Look, I haven't bothered with these big events for years at Marvel or DC. I just struggle to get into an overpriced mini-series with tons of tie-ins that could end up sucking. The last one I thought was kind of cool was Hickman's big, "Secret Wars," because I love alternate-reality stories and even as someone who liked it I'll tell you it was way too overstuffed. Therefore, I struggle to get that excited at Marvel supposedly destroying its history as I struggle with event-itits and I know they aren't really tearing-down anything. Why isn't Marvel actually destroying its history? 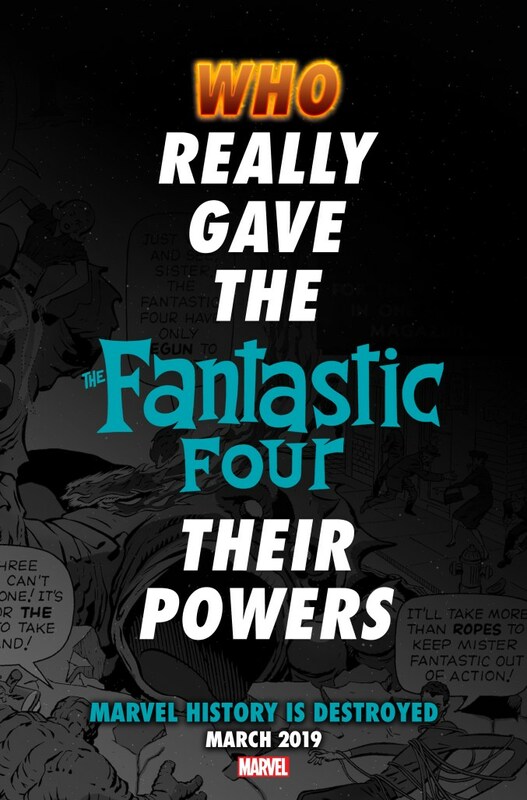 Because that is its biggest selling-point to comic-readers. Talking about how they have a rich and complex mythology full of decades of stories is a huge element for Marvel (and DC). Fans often discuss what stories in-continuity and will at times brush-off the ones that, "Don't count." Telling readers, "Nothing we've ever done counts, we are obliterating our history!" just sounds like a silly exaggeration bordering on a slap in the face of the die-hard fans who care a lot about continuity. Hence, perhaps there will be some changes here and there, but it probably won't be too drastic, and anything that is really over-the-top will most likely get undone at some point in the future (like when almost all the mutants lost their powers at the end of, "House of M,", but then didn't, or when Spider-Man revealed his identity during, "Civil War," but had that undone, and so forth). Perhaps the event will be well-written and cool, but we know too little to get especially excited or wary. I just am amused that Marvel is trying to act like doing some most likely minor retcons is this Earth-shattering big deal.